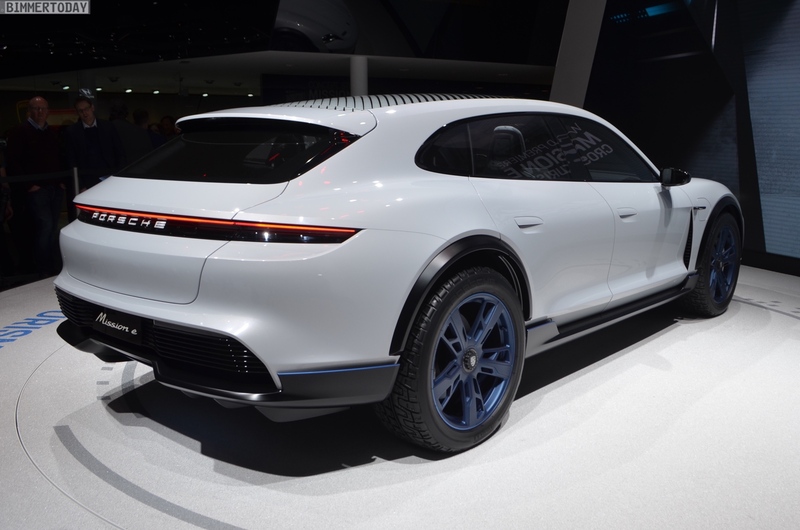 Porsche dropped a surprise debut at the 2018 Geneva Motor Show, the Mission E Cross Turismo. 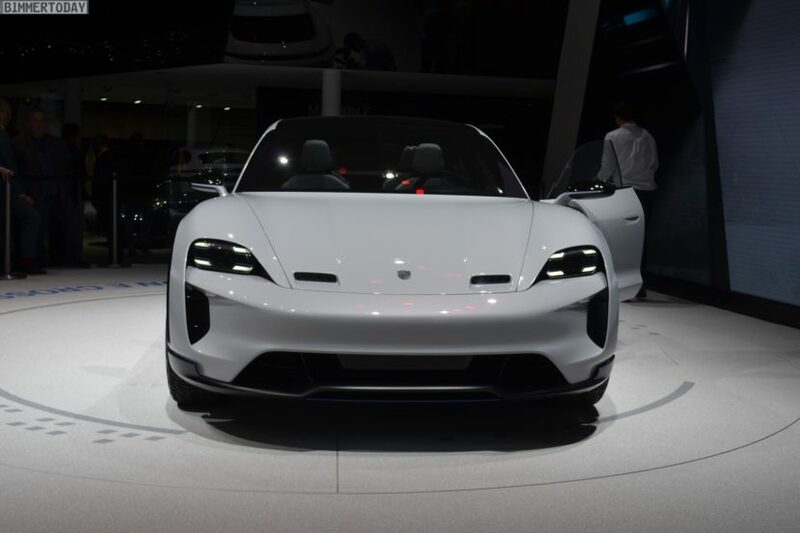 Porsche’s newest EV concept promises offload prowess with 310 miles of range and superfast charging with 250 miles added in just 15 minutes. 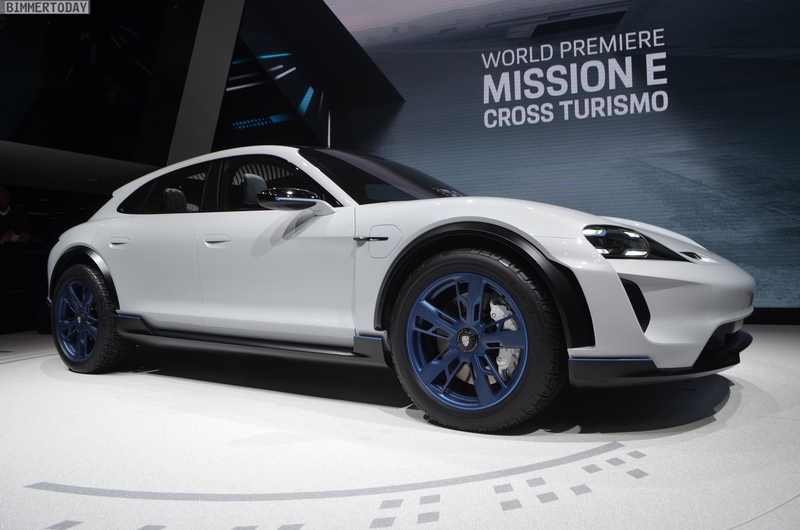 The Mission E Cross Turismo is a four-door hatchback with huge offroad tires and comes with Porsches innovative 800-volt charging technology, as well as induction charging via a floor panel. Being a Porsche also means it’s quick. With 600 hp, 0-60 mph comes in just 3.5 seconds and a 155 mph top speed. 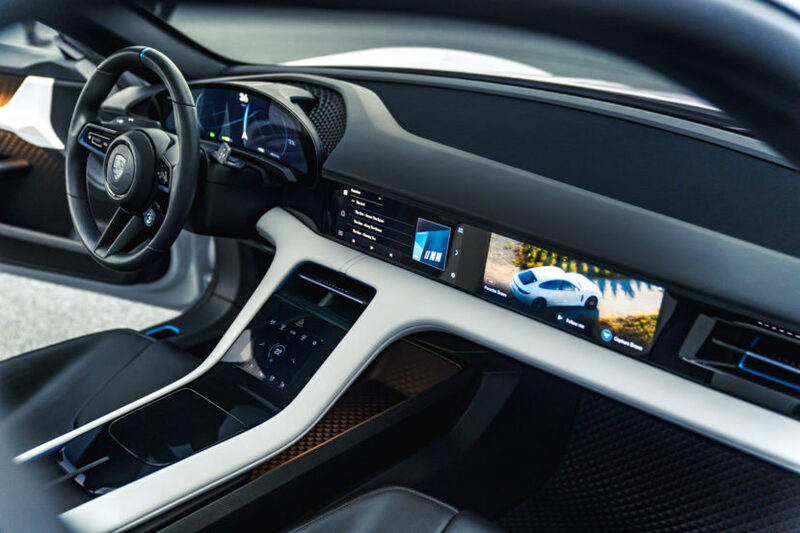 Based off the Porsche Mission E , it comes with the same basic layout with dual electric motors, floorboard battery and sleek looks. More of the cockpit has been revealed with an extremely futuristic layout, with touchscreens and few buttons. The Porsche Mission E Cross Turismo comes with rugged offroad tires,and elevated body with greater ground clearance. This decidedly offroad appearance is aimed at the sport-ute segment. Porsche is the first in the industry to utilize an 800-volt charging port. Using 800 volts, as opposed to the industry standard 400 volt, the Mission E and Mission E Cross Turismo will be able to charge twice as fast. It also reduces weight, as the 800-volt can use lighter gauge copper cable. Porsche claims that in a mere five minutes you get 100 km/62 miles of range. The downside is there are no 800 volt chargers in the United States currently, though Atlanta and LA are each supposed to get some soon.